In Colorado, special districts are often used as a way for developers to finance the costs of building new housing communities on undeveloped land. According to state law, developers must provide at least two services in order to create a metro district. DENVER — Denver7 recently took a 360 look at multiple perspectives on special taxing districts in Colorado. 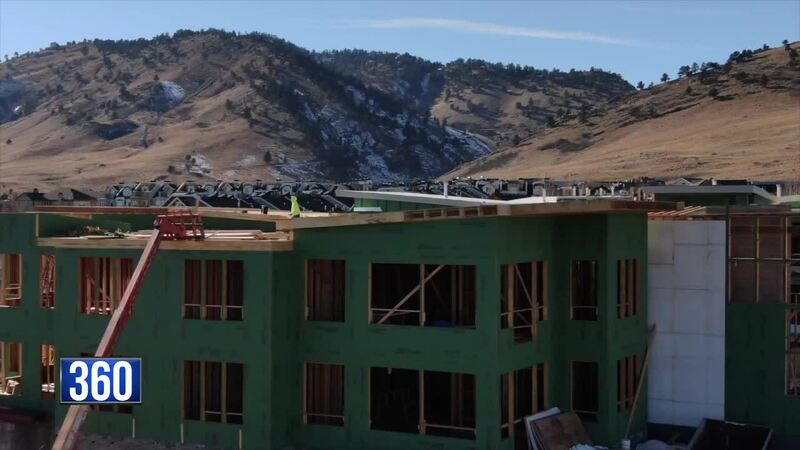 There are nearly 2,000 special districts in Colorado, and developers often use them to finance the costs of building new housing communities on undeveloped land. According to state law, developers must provide at least two services in order to create a metro district, like new sidewalks, roads, green space, fire protection districts or water services. Since our story aired, dozens of viewers have filled our inboxes and the Denver7 Facebook page to share their thoughts. Eric on Facebook said: "That's Roxborough, I pay double almost as my parents and their house value is more." John Henderson wrote to Denver7 about the nightmare he said they are dealing with in Lakewood's Solterra community, which is under the Fossil Ridge Metro District. "You know more about where your money's going when you buy a used car than you do when you buy a house in a special district," he said. Ann Terry runs the Special District Association of Colorado and represents nearly 2,000 special districts in the state. She argues these districts do have accountability. "Special districts have more accountability or transparency than any other local government," said Terry. "Every year, they have to file a transparency notice." Each district also must file that transparency notice with the Colorado Department of Local Affairs (DOLA). Those forms can be viewed online. The Special District Association of Colorado also includes searchable transparency notices on its website. Terry believes special districts get a bad rap and said they have been key to development across the state. "Homeowners are going to pay the cost of development one way or another, so if you have the ability to use a special district, a local government is what it is, then you can have tax-exempt bonds and use a mill levy, and then the election is just around the boundaries of that special district," she explained. Under current state law, Terry also pointed out that before someone buys a house, their closing documents must say the home is in a special taxing district. Her advice is to ask lots of questions and to get involved since she said homeowners could be elected to metro district boards. "Accountability is the voters, the board is elected, and there a local government just like county commissioners, just like city council," she said.